Nora is currently studying communications at Ithaca College in New York state. And that’s where we ran into each other, when facilitating a Dérive app workshop at Ithaca college in relation to the Finger Lakes Environmental Film Festival, where Nora was working as an intern. Nora saw the potential of a mobile app which asks its user to look away from the screen. 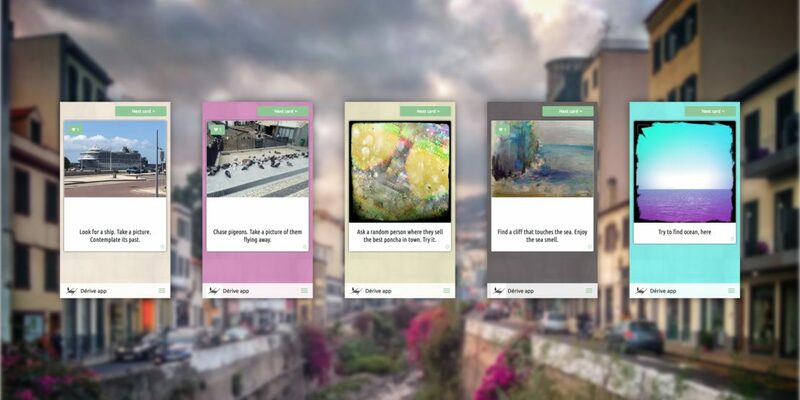 After collaborating on a deck of task cards for festival-goers to deploy while in Ithaca, she was hooked on the careful work it takes to make the Derive app as thought-provoking as it aims to be. We’re very much looking forward to a fruitful and expansive collaboration.